Charming Cobblestone townhouse, backing to a beautiful park with a playground, trails and a beautiful water feature. 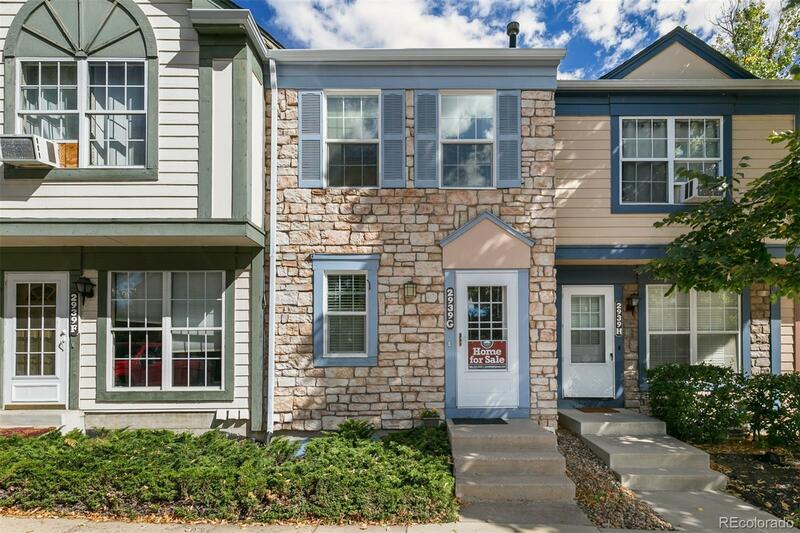 Buyers will enjoy the open floor plan with large atrium into the walkout basement. The kitchen comes with solid surface countertops, stainless steel appliances. The seller recently replaced all of the windows and doors making this home energy efficient and very quiet. There is a non-conforming 3rd bedroom in the basement perfect for out of town guest. I was born and raised in Colorado and I know the metro area very well! I specialize in representing my clients in the purchases and sales of single-family residences, income property and new home sales across the metro area including the cities of Broomfield, Westminster, Thornton, Arvada, Northglenn, Denver, Aurora, Lakewood, Wheat Ridge, Golden, Littleton, Parker, Castle Rock, Evergreen, Conifer, Erie, Brighton, Firestone, Frederick, Boulder, Louisville and Superior. I am fluent in German and am culturally sensitive as I have traveled the world extensively. Honesty + Integrity + Persistence = Satisfied Clients! To search for a home on HomeTracker go to http://metrobrokersonline.terabitz.com/agents/Gerhard.Leicht "My Goal Is To Exceed Your Expectations"
The content relating to real estate for sale in this Web site comes in part from the Internet Data eXchange ("IDX") program of METROLIST, INC.DBA RECOLORADO® Real estate listings held by brokers other than The Leicht Source Realty are marked with the IDX Logo. This information is being provided for the consumers' personal, non-commercial use and may not be used for any other purpose. All information subject to change and should be independently verified.